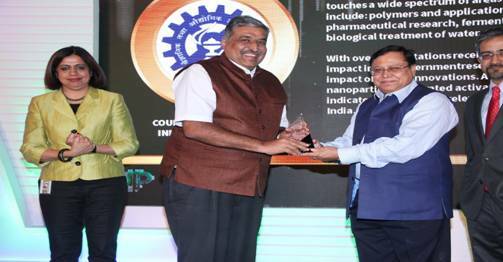 The citation reads as “CSIR is a pioneer of India's intellectual property movement and a leader in terms of sheer volume of patents published during the analysis period. While CSIR's patent portfolio touches a wide spectrum of areas in science and technology, some of the top filing areas include: polymers and applications in medicine, materials, electrical industry, pharmaceutical research, fermentation, enzymes, catalysis and applications, chemical & biological treatment of water, etc.With over 2800 citations received by their patents, CSIR scored well on patent citation impact in the government research organization category indicating the relevance and impact of CSIR's innovations. A look at one such cited patent, titled ‘Magnetic nanoparticles decorated activated carbon nanocomposites for purification of water', indicatesthat it is very relevant to one of the pressing needs of the society at large in India”. 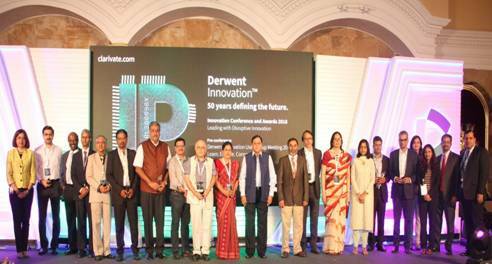 Every year, Clarivate Analytics – formerly the IP & Science division of Thomson Reuters - recognizes the most innovative companies in India according to patent-related metrics that get to the essence of what it means to be truly innovative. This analysis is done using proprietary Clarivate Analytics data and tools. The evaluation is strictly driven by metrics for both patent volume (patents published) as well as patent quality (grant success rate, extent of globalization, and citations). The Council of Scientific & Industrial Research (CSIR), a contemporary R&D organization, is known for its cutting edge R&D knowledge base in diverse science & technology areas. CSIR has a dynamic network of 38 national laboratories, 39 outreach centres, 3 Innovation Complexes and 5 units. CSIR's R&D expertise and experience is embodied in about 4600 active scientists supported by about 8000 scientific and technical personnel. CSIR covers a wide spectrum of science and technology – from radio and space physics, oceanography, geophysics, chemicals, drugs, genomics, biotechnology and nanotechnology to mining, aeronautics, instrumentation, environmental engineering and information technology. It provides significant technological intervention in many areas with regard to societal efforts which include environment, health, drinking water, food, housing, energy, farm and non-farm sectors. Further, CSIR's role in scientific human resource development is noteworthy. According to the SCImago Institutions Ranking World Report 2017, CSIR has been ranked 9 th in the world amongst the 1207 government institutions, with an overall global ranking of 75 in the world, covering 5250 institutions.